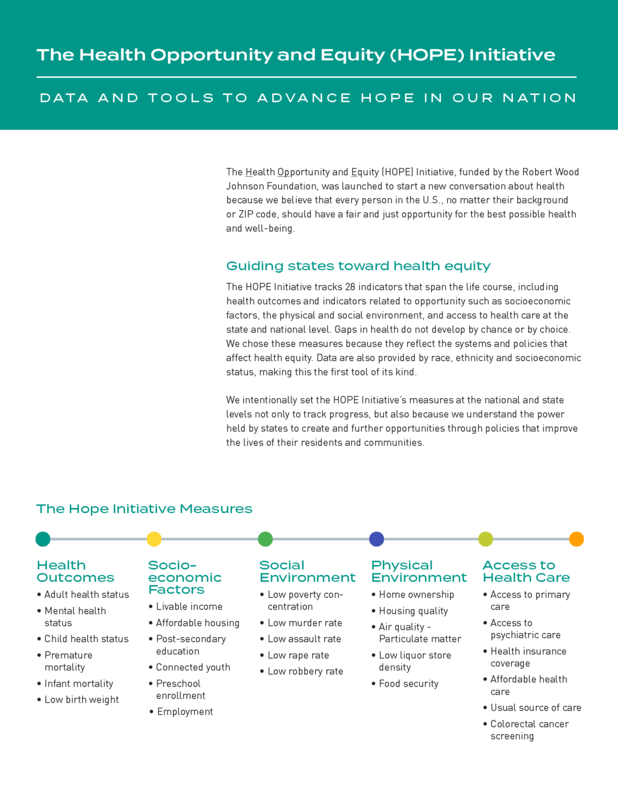 The Health Opportunity and Equity (HOPE) Initiative, funded by the Robert Wood Johnson Foundation, was launched to start a new conversation about health because we believe that every person in the U.S., no matter their background or ZIP code, should have a fair and just opportunity for the best possible health and well-being. 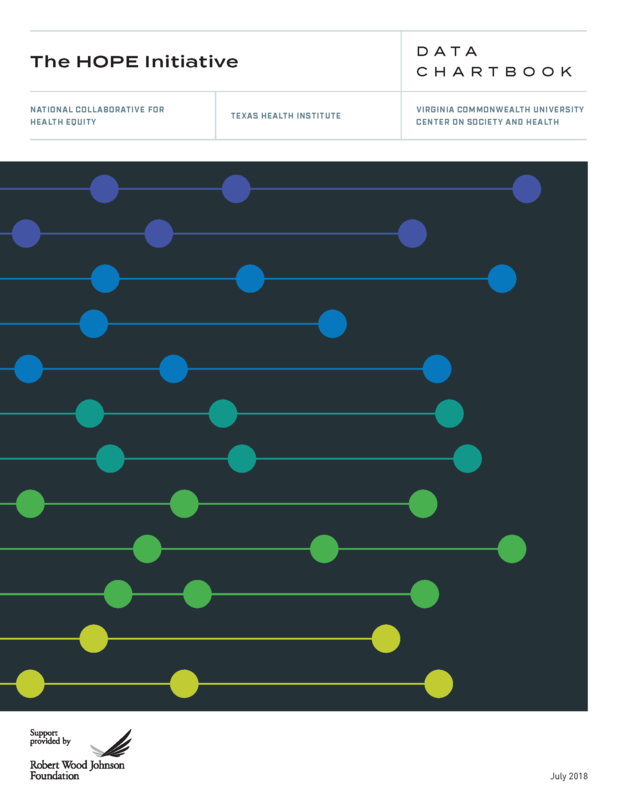 The HOPE Initiative tracks 28 indicators that span the life course, including health outcomes and indicators related to opportunity such as socioeconomic factors, the physical and social environment, and access to health care at the state and national level. Gaps in health do not develop by chance or by choice. We chose these measures because they reflect the systems and policies that affect health equity. Data are also provided by race, ethnicity and socioeconomic status, making this the first tool of its kind. We intentionally set the HOPE Initiative’s measures at the national and state levels not only to track progress, but also because we understand the power held by states to create and further opportunities through policies that improve the lives of their residents and communities. 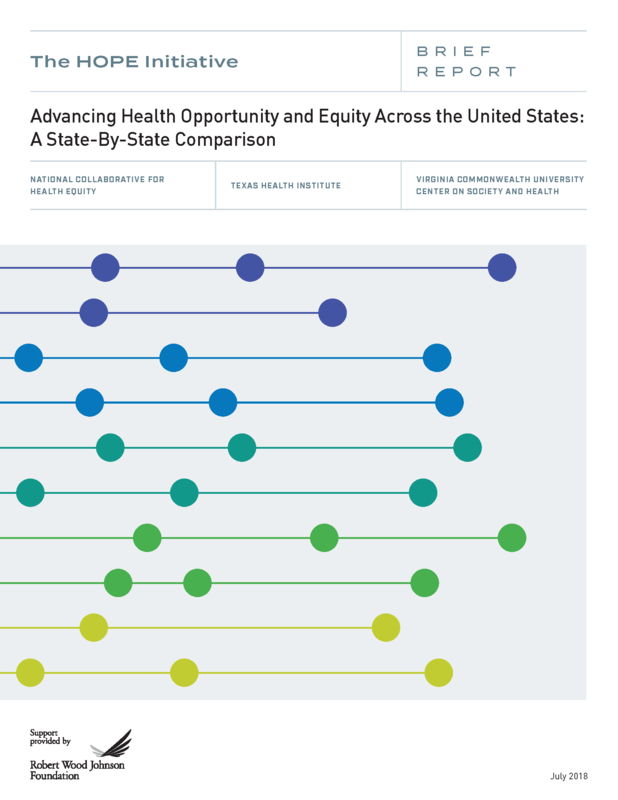 In addition to assessing how every state is doing on all 28 measures and how they compare to national averages, we’ve set benchmarks for each—the HOPE Goals—based on data from high-performing states, making them both aspirational and achievable. The HOPE Goals assess Distance to Goal, a measure of the progress that the nation and each state must achieve to reach these benchmarks. 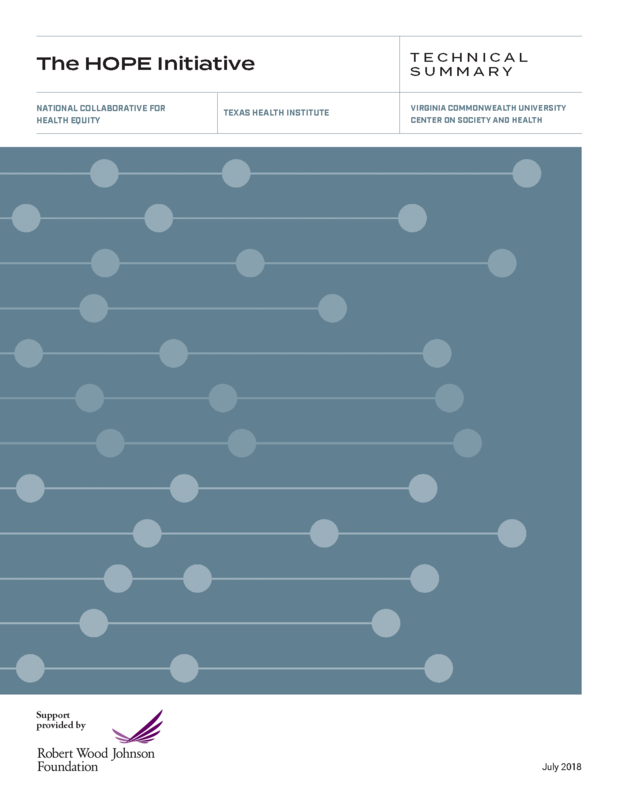 The HOPE measures offer guidance to policymakers and community leaders on where they are doing well and where they can do better in making sure opportunity is available to everyone. HOPE’s measures help national and state leaders identify strengths and gaps in opportunity, inform decisions on policy priorities that support good health and well-being across populations, spur cross-sector dialogue and solutions, and exchange model solutions that improve opportunity and health for all. The HOPE Initiative is supported by Robert Wood Johnson Foundation and led by National Collaborative for Health Equity and Texas Health Institute in partnership with Virginia Commonwealth University’s Center on Society and Health.